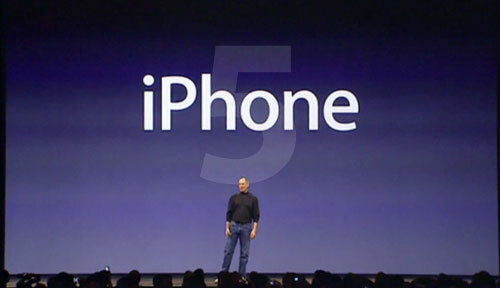 Claims of media event and launch dates for the iPhone 5 have quickly accelerated as attention turns toward the window for such an event, which is likely to open in just a few weeks. Just today, a claim of a September 7th media event appeared and was quickly debunked, and other rumors of an iPhone 5 launch for September or even as far out as late October have also been swirling. TiPb now weighs in with a claim that Apple's next-generation iPhone "could" debut on Friday, October 7th in the United States, although the source for the rumored date is unclear. The report also suggests that the next iPhone is more likely to be an "iPhone 4S" based on the iPhone 4 than a completely revamped "iPhone 5", although it acknowledges that there is still considerable confusion over the issue and that Apple could be preparing to release both models. Apple’s next generation iPhone, be it an iterative “iPhone 4S” or a completely revamped “iPhone 5” could go on sale October 7 in the US. That’s a Friday, which isn’t uncommon for iPhone launches. According to the report's source, Apple will not be introducing a new iPad this fall, having decided to push things back to the original yearly timetable and release the iPad 3 early next year. TiPb has not been a source for product rumors in the past and expresses a healthy amount of skepticism about its own report, and so we are covering this story on our iOS Blog for the time being. Breaking news! My inside sources say they will both be released sometime in the next 1 to 12 months! Anyone who really thinks there would be a 3rd gen iPad in 2011 needs to pass whatever they're smoking this way. Apple's next generation iPhone, be it an iterative "iPhone 4S" or a completely revamped "iPhone 5" could go on sale October 7 in the US. That's a Friday, which isn't uncommon for iPhone launches. Yes, yes it could (I suppose). I bet :apple: is reading this and laughing their a**es off right now. We have about 10 different possible combinations of rumored releases happening in the next 6 months. iPhone (insert number and or letter(s) here) in September/October, iPad (insert number and or letter(s) here) in September/October/Winter/Spring, etc. No one has any idea about designs -or names- obviously, except the ARM processor. I'd say we haven't learned anything new since after the iPhone 4 was released, except that there was no summer release. Because it's August now. Notice how there have been NO rumors about any new iPods? Everyone's so caught up with the next iPhone it's just depressing. I say wait until it actually happens. It'll save the anxiety. Interesting commentary. Debacle, you say? Is that what you call it when a company releases the best smartphone on the market? This is getting hilarious. Announcement coming in September, available soon after. As you were people. they were out of their element. For me, this is one of the more plausible rumors. THis rumor was just to get Samsung to publicly commit to the US s2 launch. It worked.